The eXtreme Processing Platform (XPPTM) is a new runtime-reconfigurable data processing architecture. 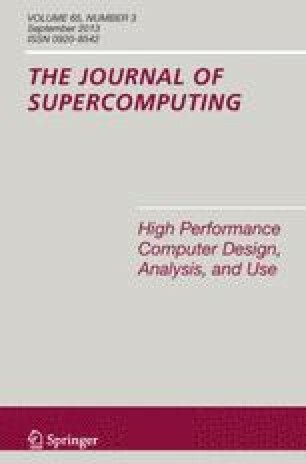 It is based on a hierarchical array of coarsegrain, adaptive computing elements, and a packet-oriented communication network. The strength of the XPPTM technology originates from the combination of array processing with unique, powerful run-time reconfiguration mechanisms. Parts of the array can be configured rapidly in parallel while neighboring computing elements are processing data. Reconfiguration is triggered externally or even by special event signals originating within the array, enabling self-reconfiguring designs. The XPPTM architecture is designed to support different types of parallelism: pipelining, instruction level, data flow, and task level parallelism. Therefore this technology is well suited for applications in multimedia, telecommunications, simulation, signal processing (DSP), graphics, and similar stream-based application domains. The anticipated peak performance of the first commercial device running at 150MHz is estimated to be 57.6 GigaOps/sec, with a peak I/O bandwidth of several GByte/sec. Simulated applications achieve up to 43.5 GigaOps/sec (32-bit fixed point).